Sajal Ali is one of the most impressive and beautiful actresses of Pakistan television. She was born in January 17, 1994, in Lahore. 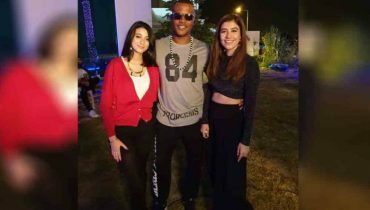 She moved to Karachi with her parents. 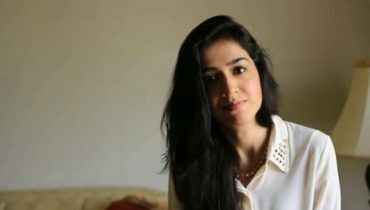 This gorgeous and successful lady started her television career with the 2011 ARY Digital serial Mehmoodabad Ki Malkain. Being an awesome and talented actress, Sajal has given the fans a lot of drama series. 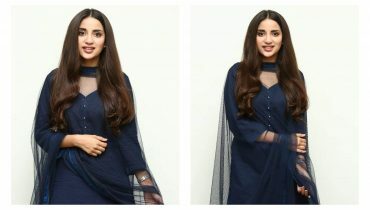 She has been featured in serials like Mastana Mahi (2012), Mohabbat Jaye Bhar Mein (2012), Ahmed Habib Ki Betiyan (2012), Sitamgar (2012), Chandni (2012), Meri Ladli (2012), Quddusi Sahab Ki Bewah (2013), Gohar-e-Nayab (2013), Nanhi (2013), Sannata (2013), Aasmanon Pay Likha (2013), Kahani Raima Aur Manahil Ki (2014), and several others. This is the question that often strikes our minds. 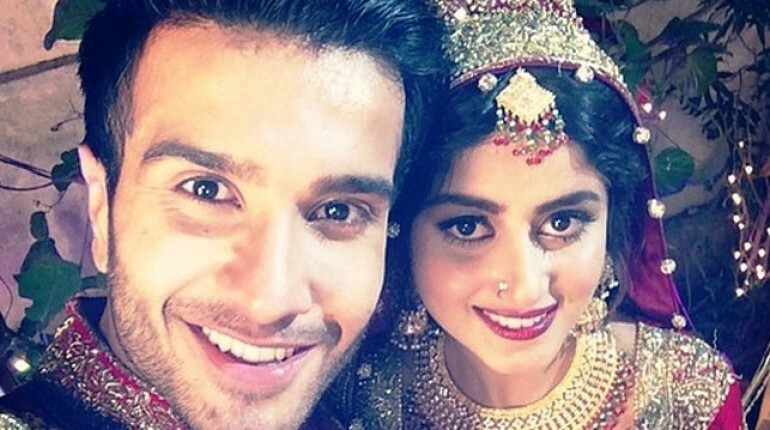 There have had been a lot of news and rumors that Feroz Khan and Sajal Ali are married. But the two have claimed that this news is absolutely wrong. Both have openly spoken to media, saying that they are totally unmarried. 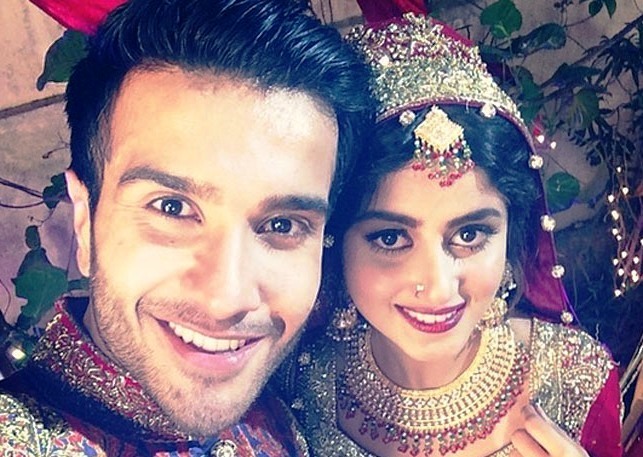 In one of the interviews, Feroz even said that he who is saying that he is married to Sajal cannot ruin his repute. 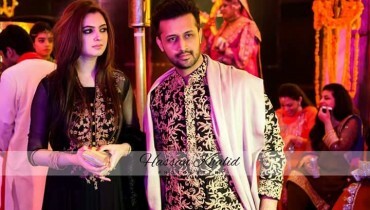 Feroz, according to his interview, is absolutely single, in fact happily single, and he even has no affection at all with Sajal. This clearly means that the two have only been good co-stars and their relationship is nothing more than professional companions. She obviously denies the rumors. She said that she is good friend of Feroz, and yes they like to work together, but this doesn’t mean they are having an affair or have married with each other. Those who are saying so should amend their ways. Sajal seemed very sad hearing these bad rumors as this was only an effort to risk her repute in the television industry. 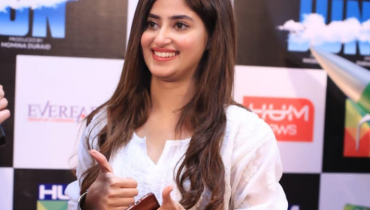 Sajal Aly at trailor launch of Parwaaz hai Janoon !